Looking North, quite close to the old bridge. 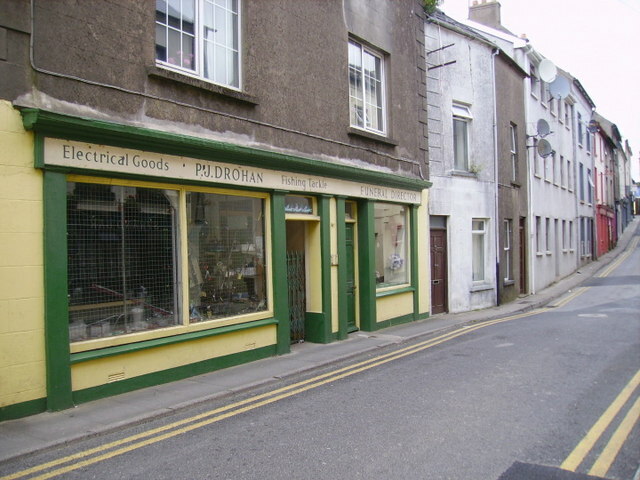 Interesting diversity of trades:- P J Drohan, Electrical Goods, Fishing Tackle and Funeral Director. © Copyright Dave Spencer and licensed for reuse under this Creative Commons Licence. This page has been viewed about 237 times.